Phu Quoc sits in the Gulf of Thailand, nestled closely beside the Cambodian coast. At around the same size as its Thai equivalent, the better-known (and infamous) Phuket, the island is still a relative unknown which was part of the appeal for me. But this dreamy, grammable locale is quickly growing popular with millennials because of its UNESCO-listed national parks, lush forests and blissful beaches. So get there quick, while the vibes are still perfect from those who want a laid-back sun hol in a tropical setting. 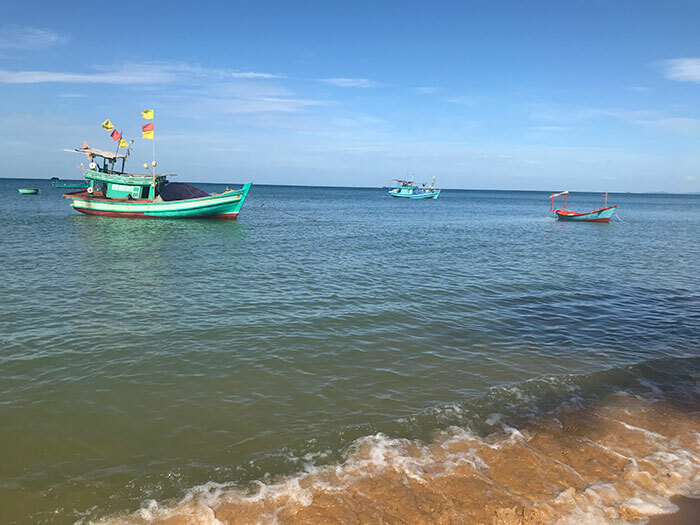 Phu Quoc’s twenty beaches really pack a punch. Expect turquoise water gently lapping white shores, fringed by coconut-laced palms. Yep, paradise. While some are surrounded by relaxed hotels and resorts, there are handfuls that remain undeveloped if you’re looking for something a little more pastoral. I stayed on Long Beach on the west coast, one of the island’s most popular areas for travellers. At over 20km long, it’s in a process of development and once you hit the pristine (and scorching) sands you’ll understand why; Long Beach successfully pairs the natural beauty of the island with popular but quaint hangouts. 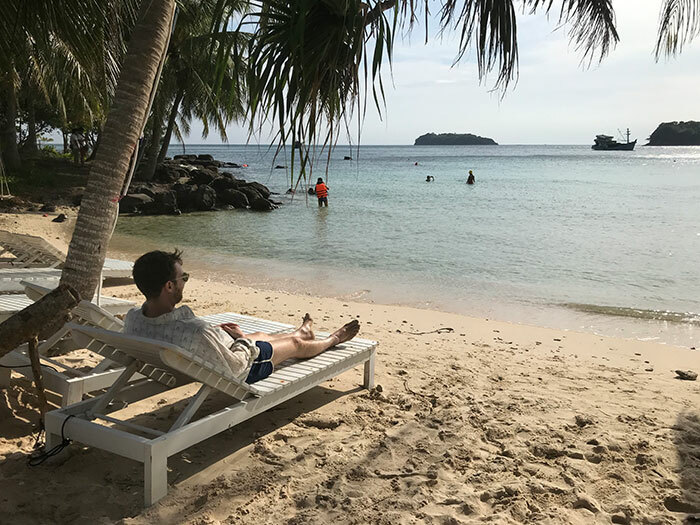 Sao Beach, at the other end of the island, in the south-east, was another of my faves – surrounded by jungle, it’s relaxed and unspoilt, the ideal location for a breezy afternoon under the baking Vietnamese sun. Do note though that Vietnam, like a lot of Southeast Asian countries, has a plastic problem which does mean some untended beaches can end up covered in litter. It’s not a deal-breaker, but can be unsettling. It’s a quiet reminder to leave no trace on your travels. The An Thoi islands to the south of Phu Quoc are a must-visit for those who like to venture a little further. I took a day trip with Johns Tours, one of the biggest tour companies on the island, who can arrange a hotel shuttle for you, direct to their ferry. We chose island hopping with snorkelling; the three island trip takes you to an uninhabited archipelago that’s a haven for explorers. 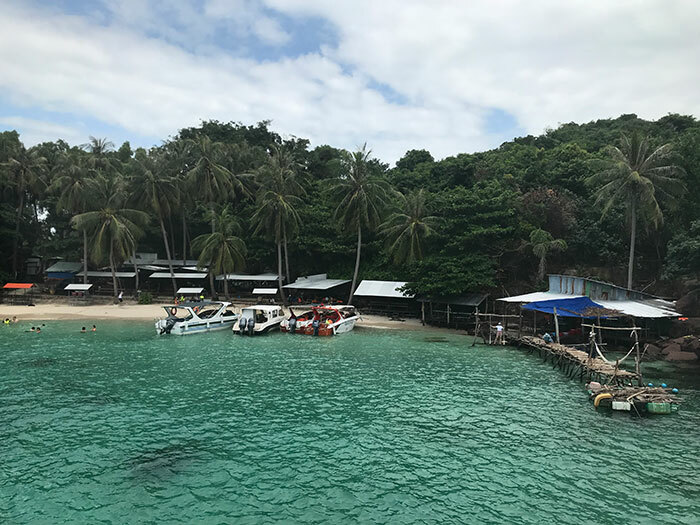 Mong Tay and Gam Ghi offer the best snorkelling experience; the latter is where you’ll find extensive reefs and breath-taking underwater views. Don’t miss the cocktails served in freshly-cut coconuts at May Rut’s low-key beach bar, it’s perfect for some downtime after a day swimming in the sun. Phu Quoc’s azure waters are filled with wild and wonderful sea life. Tread a little further than the beaches and you’ll encounter coral gardens, plenty of anemones, seahorses, shoals of tropical fish and if you’re lucky – even a turtle or two. One of the island’s hot spots for marine life is the increasingly popular ‘starfish beach’, situated near Rach Vem. It’s slightly secluded so can be tricky to locate, but that’s part of the charm. Here you can see the fire-red starfish bathing in the shallows that the area is renowned for, they’re an unusual and inspiring sight and must-see for nature fans. 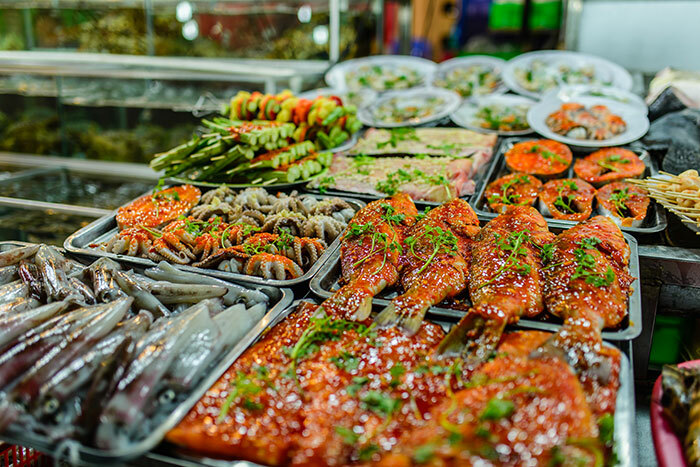 Street food is huge in Phu Quoc and Duong Dong Night Market is the place to be once twilight descends. I went a couple times - there’s almost too much to see and absorb in just one trip. As with a lot of night markets, be prepared to be hustled. It’s hard to avoid some of the vendors chasing the loose Vietnamese Dong rustling in your pockets, but there are plenty of fresh wares to spend your cash on and your money goes far here. Expect fresh seafood, smoothies and uber-hip ice cream rolls at every turn. The island is renowned for its fish sauce and peppercorns so stock up here for your return home, they’re a real steal. After a stroll around the stalls, it’s worth grabbing a pew at one of the many restaurants and bars to relax and soak up the hustle and bustle. If the local seafood scene isn’t your bag then try the Loving Hut, a vegan restaurant hidden on a small street towards the north of the market. Set at the foot of a Buddhist temple, the resident monks regularly frequent this tranquil joint - it’s Vietnamese at its finest. For the more intrepid at heart, there are plenty of nearby sights and attractions to keep you occupied. Soak up some culture in Ham Ninh Village; this traditional, working fishing village on the east coast was a highlight of my trip. Here, you can grab a cheap bite while watching the residents at work; it has a dazzling charm that’s impossible not to fall in love with. There are many shrines and pagodas dotted across Phu Quoc; Sung Hung Pagoda, built in the early 10th century, is one of the island’s most charming. 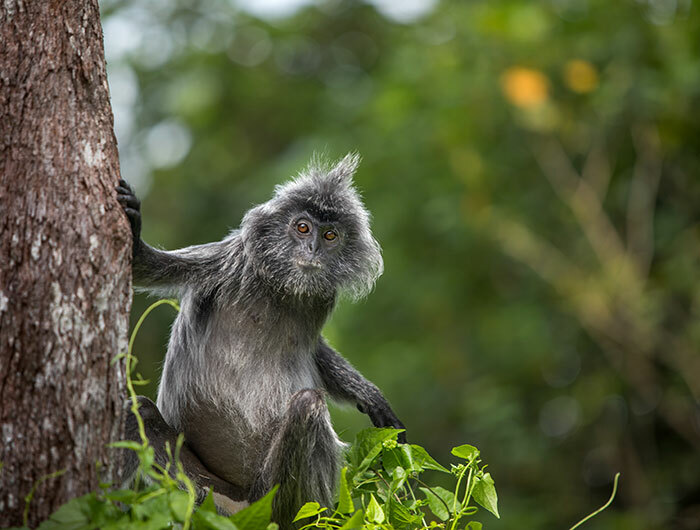 The huge national park is a verdant expanse and while some areas are protected and with that restricted, the Khu Rung Nguyen Sinh Forest Reserve, accessible via Ganh Dau Village is an entry point for hiking. It’s a great spot to embrace the island's wildlife - macaques, silver langurs and plenty of birdlife call this lush junglescape home. Discover Phu Quoc, its beaches and islands, on a Flight Centre tailor-made Journey to Vietnam. A freelance writer and editor from the Scottish Highlands, I often write about travel and the arts. I can usually be found traversing local hilltops but I’m a fan of exploring more far-flung international destinations too.